As I mentioned at the end of a mid-month entry, I passed the 5,000 post mark. I hit 1,000 posts more than ten years ago, a little more than two years into the life of the blog. As I noted in my anniversary post last year, my style has gone from many short posts to fewer, much longer posts over time, so I guess that lines up. There are about 3.8 million words spread over all of those posts, making a 750 word post the average for the site. Given how many 200 word posts I’ve done over the years, like when I post a video on the weekend with just a few comments, that means I have some behemoths out there offsetting those. Project: Gorgon made it to Steam. Shroud of the Avatar left early access. EverQuest turned nineteen and launched a new server. In EVE Online the player run Burn Jita event was back for 2018. Many ships were destroyed and I took a bunch of screen shots and tried to count the cost. Up in Pure Blind we killed some dreads and I got a kill mark on my guardian. CCP let out more details about the road to CSM13. There was a pretty short interval in which to register your candidacy. The March Update for EVE Online dropped the jump fatigue cap to four hours and introduced The Hunt event. There was an INN editorial about the metaphorical masks we wear in EVE Online. I asked if we donned the masks on purpose or if our masks were shaped by the game itself. I was also blog warring with SynCaine over the idea of instanced null sec battles. It would break the game in my view. Rift Prime went live and I spend a good chunk of time playing that. 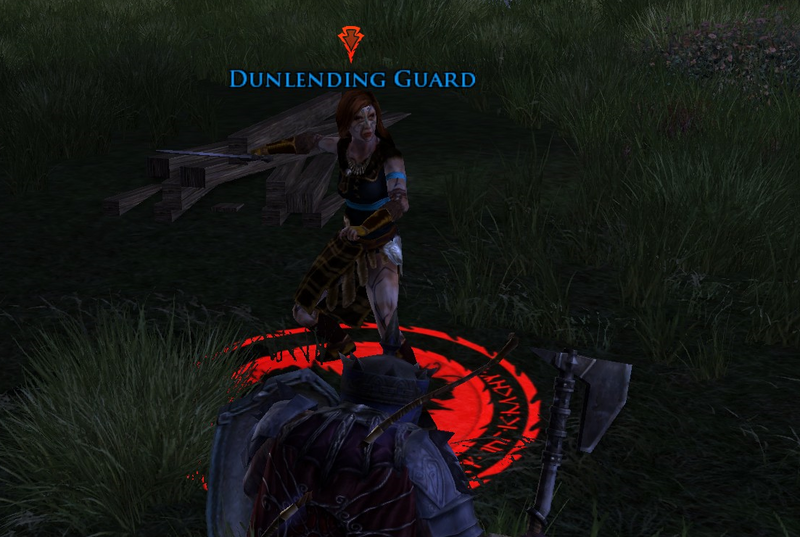 I was in the guild The Fishing Defiants with Liore and some of the cats she used to herd. The daily gifts and the chat could be overwhelming. I played through Freemarch pretty quickly and moved to the east end of Stonefield. Trion was tinkering with the experience curve, but they gave us some informational tidbits about the server. And a Kickstarter campaign for the World of Warcraft Diary looked doomed from the outset. But the author vowed to regroup and return. I was thinking about the word “free” and how it really brings up negative connotations. Basically, “free” is usually a scam, so why should we expect “Free to Play” games to viewed as anything else? My other blog, EVE Online Pictures, qualified for inclusion as an EVE Online fan site. Free account! Or it was. CCP is killing the fan site program. Meanwhile CCP lost money through “derecognizing” an asset which would turn out to be the demise of World of Darkness as a project for them. CCP was also taking a stab at cosmetic options for ships. I picked my 15 most influential video games, and got some other people to pick theirs as well. WalMart was going to get into the used video game market. Did that ever go anywhere? I don’t shop at Wally World. Something called MyDream wanted to be a Minecraft killer or some such. It was the end of the line for Free Realms and Star Wars: Clone Wars Adventures as SOE chief John Smedley vowed never to make kids games again. 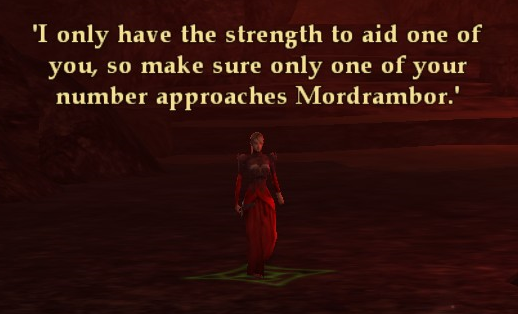 While over in EverQuest the 15 year anniversary included the introduction of instant level 85 characters. I gave that a try and got lost immediately. Facebook bought Occulus Rift. Meanwhile, Sony announced Project Morpheus which later became PlayStation VR. Brad McQuaid was a month past his unsuccessful Pantheon Kickstarter and I was wondering what the plan was. In a set of short items, I also noted that EverQuest Next Landmark became simply Landmark, two of the founders of Runic games left the studio to try their luck elsewhere, while King, the makers of Candy Crush Saga, went public and became one of the most shorted stocks on the market! They were mentioned on the Planet Money podcast about shorting. Of course, Blizzard ended up buying them, so I wonder how those shorts played out in the end? The ongoing “Blizzard isn’t giving you…” series continued. while Diablo III: Reaper of Souls went live, an event which included the end of the auction house. I had gone back to the game to try some of the changes. Also on the Blizzard front Hearthstone launched. They did manage to find a hook to get me to play Hearthstone… or at least a couple rounds of it. Five years later I would be surprised to find I have played more than 50 rounds of the game. I was also musing about WoW and when the expansion would launch and the stat squish and guild levels and pseudo-server merges and my insta-90 choice and Warlords of Draenor being $50… which was at least better than it being $60. 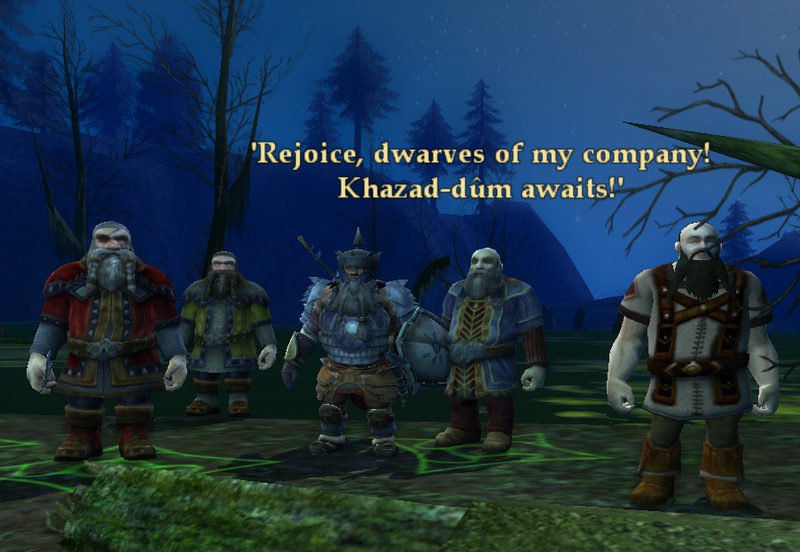 While, actually in the game the instance group took on Zul’Aman. We formed something I ended up calling the “strategy group,” if only to distinguish it from the “instance group” which started out playing some Age of Empires II. And I wrote another installment of my ongoing TorilMUD series, this time about the Faerie Forest. In March 2009 we were excited about Pokemon Platinum around our house, although we weren’t really finished with Pokemon Diamond yet. I spent a day up at GDC in San Francisco. In WoW we finished up a short hiatus and started back in at the SteamVault. My daughter was tearing up Warsong Gulch. Meanwhile, the Lich King seemed to have laid a curse on my new video card. Nothing I did ever seemed to change this issue, though it did seem to go away eventually. In EVE Online, the Apocrypha expansion came out, and with it the classic graphics were swept away. Adam though, was making his own adventures in New Eden. Oh, and I bought a freighter. Mythic was trying to tempt me back into Warhammer Online with 10 days free. Somebody tried to put together a list of the Ten Most Important MMORPGs. Like all such list, this one started the comments rolling. It was launch day and I was already complaining about Runes of Magic… well, about the patcher in any case. I finished up what was then the last book of the Wheel of Time series. The last Robert Jordan authored one. The EverQuest 10th anniversary just wasn’t evoking the level of nostalgia in me that I thought it would. And we had to say goodbye to an old friend and family member. The picture my daughter drew is still up on the wall. A decade later it still draws the occasional sad word later in the evenings when people are tired and a bit more emotionally fragile. Battlefield Vietnam, the follow up title to Battlefield 1942 and its expansions, hit the shelves. This was probably the last shooter I played online regularly. It never got a stellar mod like the Desert Combat, though it did have the Sweden vs. Norway mod that was… unique. I also recall one of the maps had an issue that killed your frame rate if you entered a particular area. Some game called EverQuest launched. Heard of it? 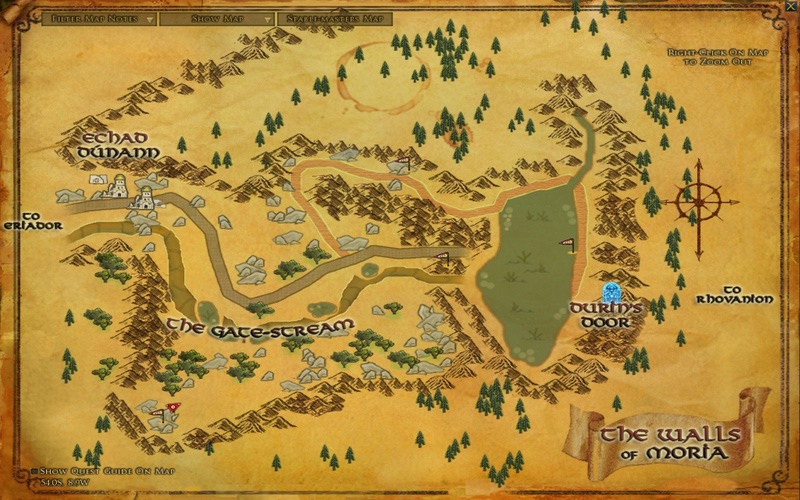 What is a Niche MMORPG? Month three of tracking game time is showing a trend of making these month in review posts even longer. Just what everybody wanted. Knowing exactly what I played means comments on more titles every month, and this month was especially confused with conflicting bouts of nostalgia competing with one another. So the March list is the longest so far. Released on GoG.com as something of a surprise… was there any indication it was coming or did it just arrive one day… classic Diablo was something I had to buy. I wasn’t sure I was going to play much of it, and certainly opening up this 1996 title reminded me how far we have come in gaming. But there is a certain uncomplicated charm to it, and I ended up playing much more than I thought I might. I have made it down to level 13 and am clearing that, though I had to take a break as the consta-clicking nature of it was making my hand hurt. 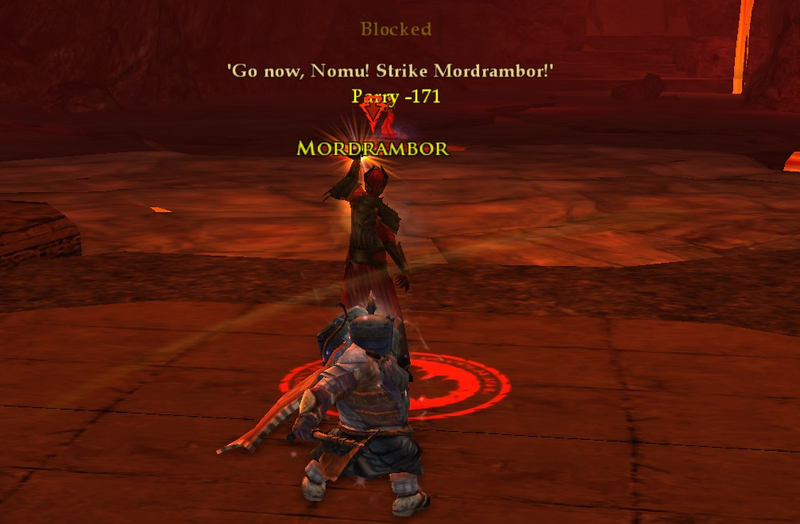 Click and hold for repeat attacks on a mob was clearly a feature we needed. Operations in the east of null sec continue. There was a bit of a swap or partners as Black Legion joined up with Fraternity. Meanwhile, Pandemic Horde got a bit more serious about pushing back on our ops and we had some fights come to us in our staging. Nothing huge or dramatic, though the month did end on a nice kill. There were a couple of fights I might have written about had I not been swamped by topics already this past month. Nostalgia fever. I knew I would jump in for a bit for the 20th anniversary, but I wouldn’t have bet that EverQuest would top my play time chart. All that travel time to the Scarlet Desert certainly added up. 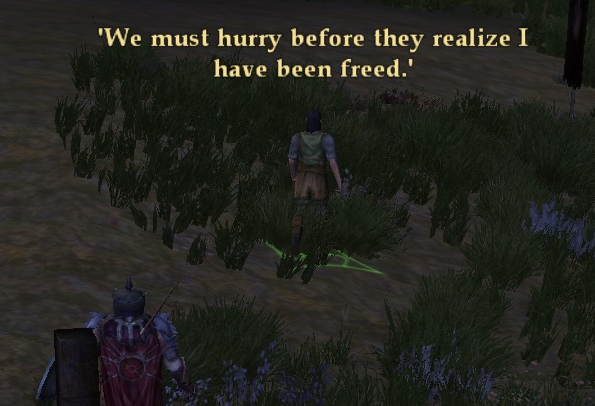 I did not spend much time at all in new Norrath. I basically logged in to get the special gift they were giving out for the EverQuest 20th anniversary. It was a painting for your home. which I hung up in mine. Then I noticed how crowded with stuff my basic Halas apartment had become, so I started looking into upgrades. I actually bought a larger Halas house, and now I need to get all my stuff setup there. Moving is always hard. The Mines of Moria expansion opened up on the Legendary server and I started in on that. That meant fiddling around in Eregion for a while before heading underground. 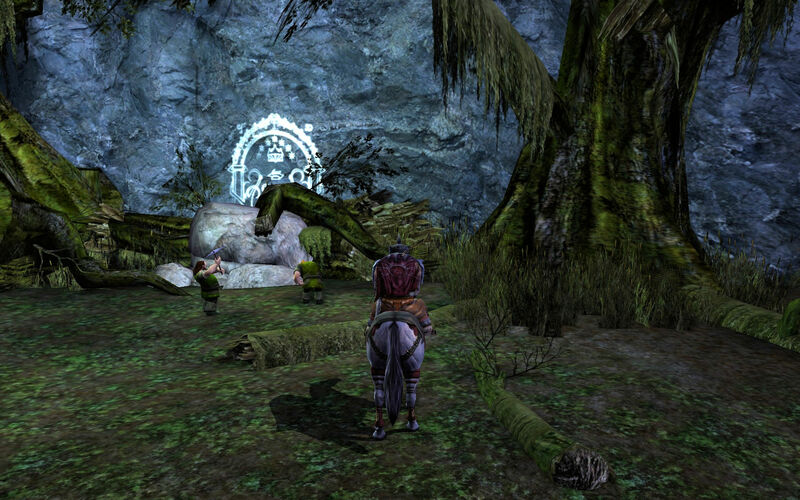 Once you’re in Moria there is no swift travel horse route back to Rivendell or Bree. Probably a good thing. 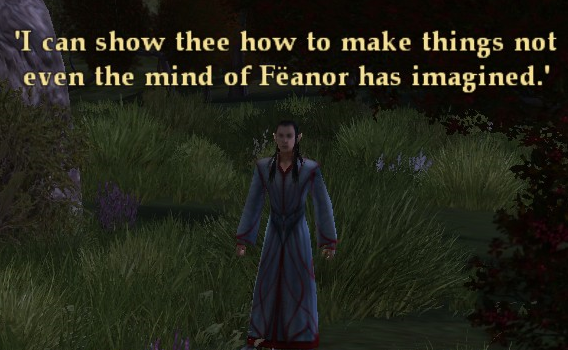 I have consulted enough with Elrond. 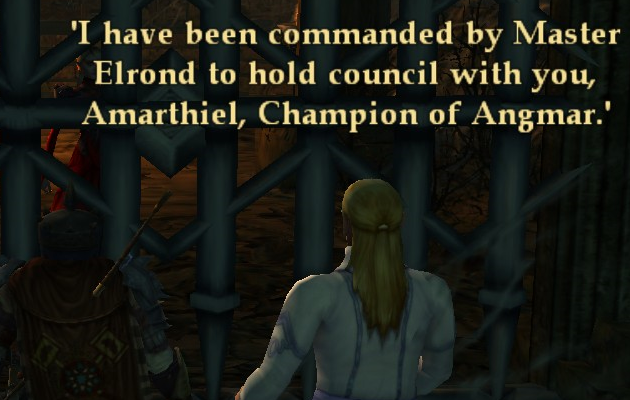 Plus it is embarrassing to go back there and see Aragon standing around when he allegedly got into Moria ahead of you. I clicked on this during a fleet op where we were waiting on a black ops waiting to hot drop on a target. It is something to fiddle with while waiting on things in fleets. Basically, this time would have been counted towards EVE Online if I had just stayed in that window. But who does that? I wanted to listen to an audio book, but I cannot just sit and listen. I have to be doing something while I listen. That’s just me. Usually I am driving. But sitting at home and wanting to knock out the last couple hours of an audio book usually means playing a game, one that doesn’t have a lot of text to process, since that is single threaded in my brain. Minecraft is about perfect for that. I didn’t have a grand plan. I just explored a bit and upgraded a couple of bases, digging mines and building infrastructure. I started off pretty strong on this when the Synthesis season dropped. I made it into Act II and into the mid-20s level-wise. Then Mines of Moria opened up in LOTRO and the EverQuest anniversary hit and Wintergrasp was back in World of Warcraft and that was about that. It was just superseded by events. The change to Team Instinct has made playing with my wife better/easier/more fun now that we’re on the same side. We go battle over a gym in a part near us with another couple we know who is on Team Valor. Neither side is above throwing berries remotely just to make those fights annoying. We’re horrible people. Also, made it to level 36. Now to do the 2 million point climb to 37. I need more friends. I started out the month playing this. I thought it might dominate the month, being another game that you can sit and look at and tinker with pretty easily while you listen to a podcast or audio book. However I fell out with it fairly quickly as other games showed up. I binged on renewed and revamped Wintergrasp when it was the pick of the week for battlegrounds. Most of my play time was probably during that week. But I still long in every other day or so to pick up some world quests and do a few pet battles. Tomorrow is April Fools. Let’s see if we can get through it without being either a complete fool or a total wet blanket. 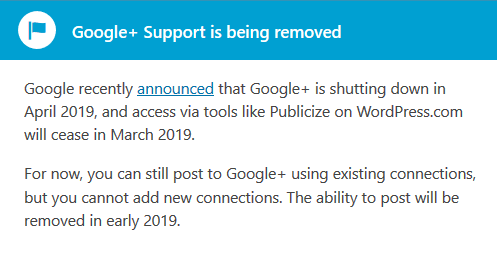 Google Plus will be gone from public use come April 2. Farewell to my three followers there. I saw a mention that we might hear something soon about CSM elections for EVE Online, but nothing concrete. I would have thought we would have heard something by now, as traditionally CCP starts talking about that around February. But with the world tour schedule and CCP Guard having left, the CCP team might be a bit busy at the moment. In game, the Imperium is not going to join in on the war in the east… unless you count SIGs and squads. Then we are totally in on whatever happens. 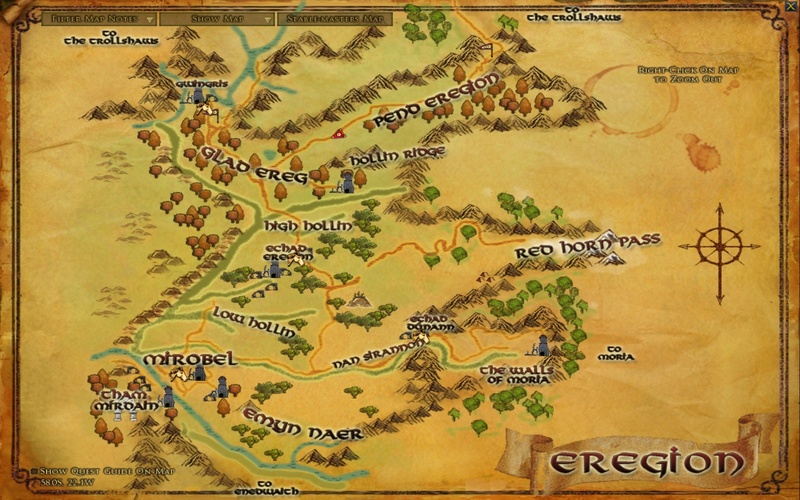 In LOTRO I’ll likely carry on into Moria. I’m over the threshold and hidden from sunlight already. We’ll have to see if I carry on with EverQuest after the 20th anniversary month wraps up today. This entry was posted in entertainment, EVE Online, EverQuest, EverQuest II, Lord of the Rings Online, Minecraft, Month in Review, World of Warcraft and tagged Diablo, Microsoft Solitaire, Pokemon Go, RimWorld on March 31, 2019 by Wilhelm Arcturus. 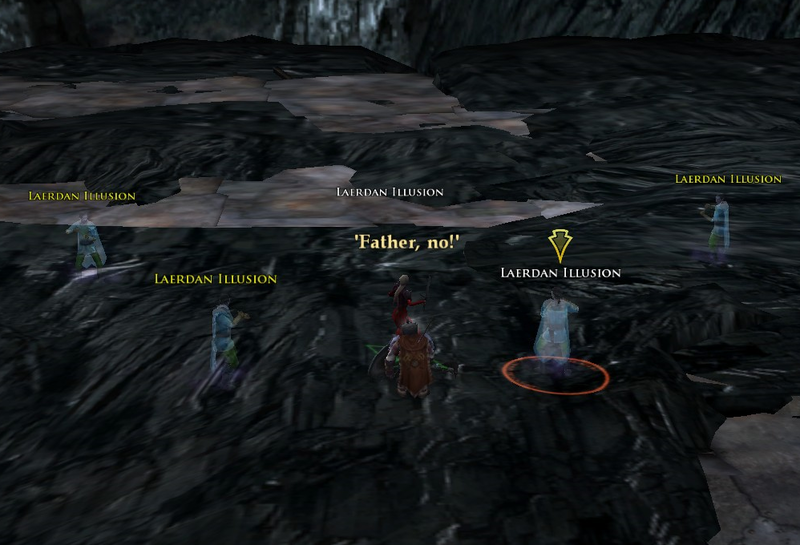 Moria, Moria, Moria, was there ever another expansion like the Mines of Moria? 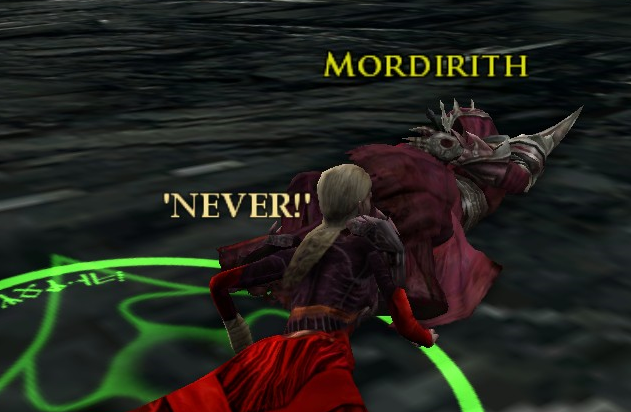 And today, should things go to plan… something of an ask for SSG given how last week played out… Mines of Moria should unlock on the LOTRO Legendary servers, Anor and Ithil. A hopefully short and successful downtime is planned for today… it is supposed to be done before this post goes live… after which Moria will be unlocked. The patch notes for the associated update give us the basics, including the bump in the level cap to 60 and such. There will also be a special offer in the shop called the “Reclaim Moria Bundle” that includes quite a pile of items. 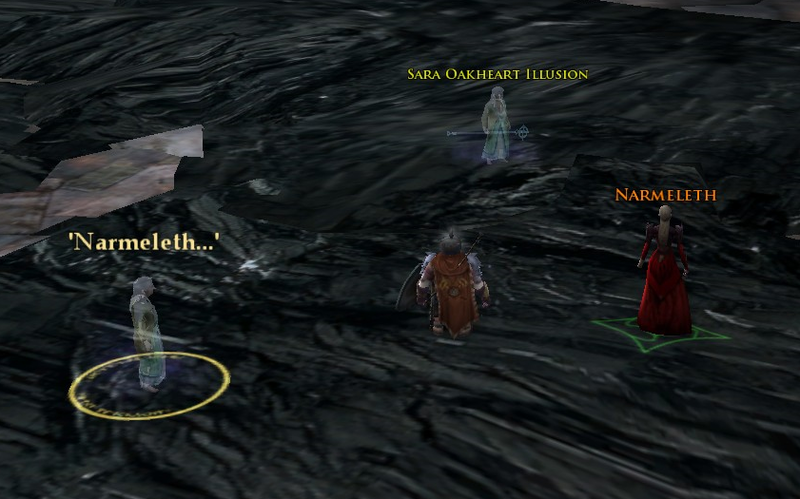 Honestly, I would worry about bag space on my main character on Anor were I to purchase it. 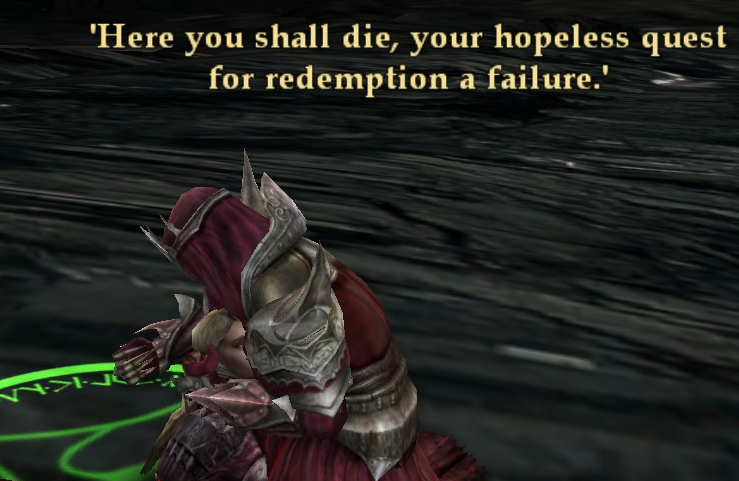 But nothing in that bundle calls to me either, so I likely spend my LOTRO Points on it. And then there is my own relationship with the expansion. 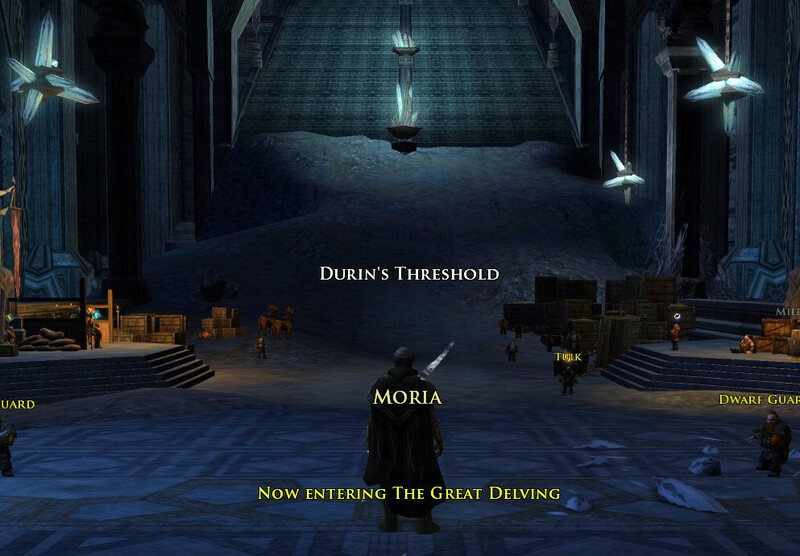 It took me a while to get to Moria the first time around. The expansion launched in November of 2008 but I didn’t step into the dark until nearly three years later. I blame that on… well… other games, my own laziness, and the fact that the gap between the Trollshaws and Eregion was pretty rough and very group focused back in the early days. 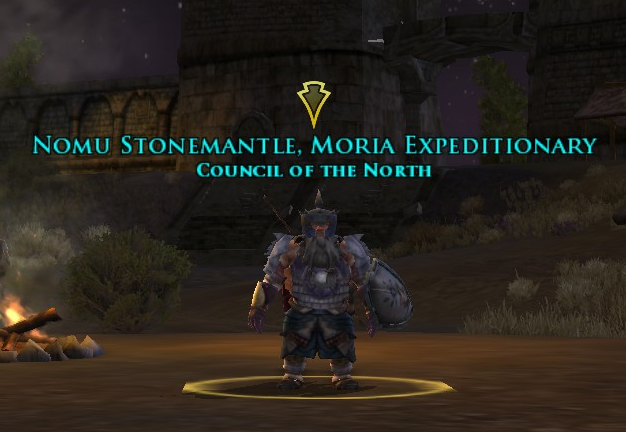 While I am not necessarily proud that I did the LOTRO Legendary journey almost completely solo so far, the fact that I could do as much as I did was largely due to changes made since the last time I played the game seriously. 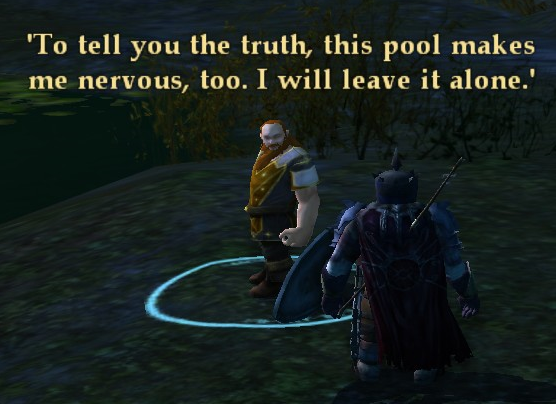 As for making it out to the other side of Moria, that took another two years further and was done with a different character altogether. 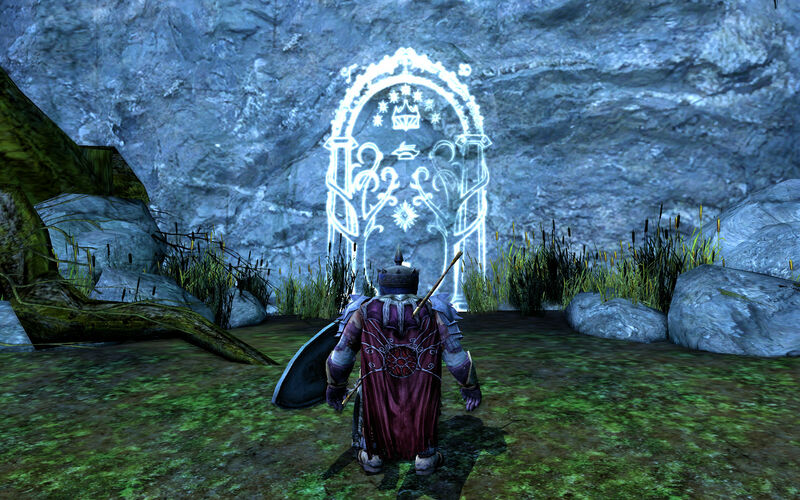 Despite having some misgivings about the venture, I suspect that I will pick up where I left off in Eregion, equip one of the notoriously needy legendary weapons, and eventually step through the gate and into Moria. The biggest problem will be finding the time to settle in and get it done. As I noted in yesterday’s post, I have more games in play than I would normally consider. 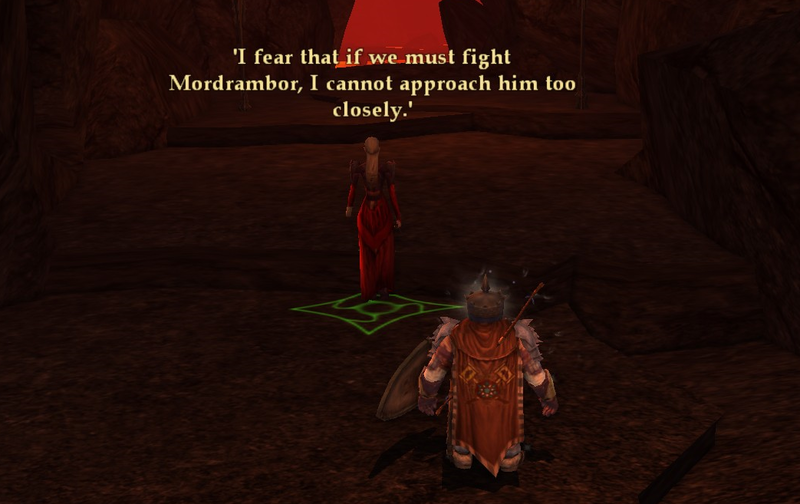 Moria might have to wait for a bit. 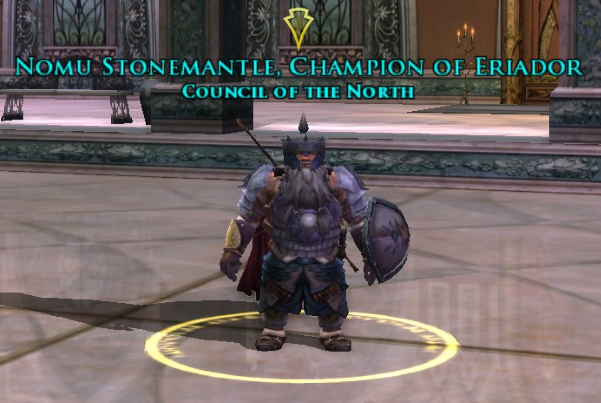 This entry was posted in entertainment, Lord of the Rings Online and tagged Anor, Ithil, LOTRO Legendary, Mines of Moria on March 14, 2019 by Wilhelm Arcturus. Hello! Thank you for your patience during our extended downtime. All indications are that things are on schedule. Thank you for being here! 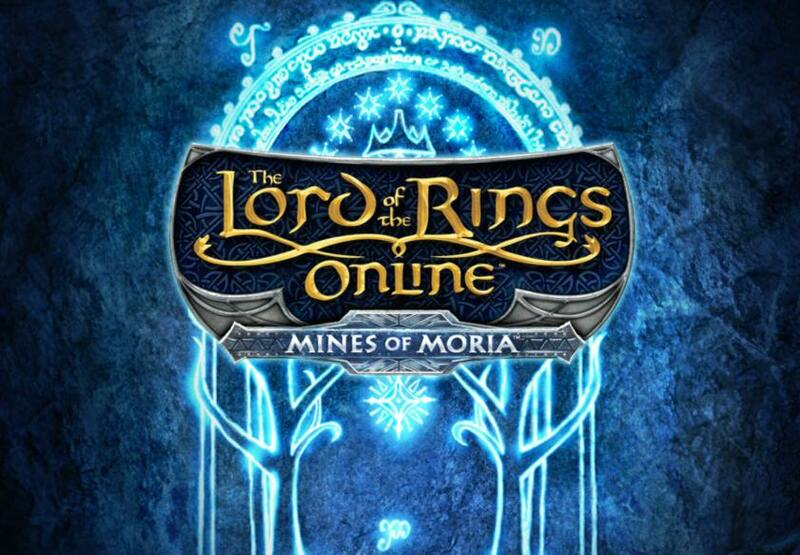 Standing Stone Games had been reminding everybody via various sources, including Twitter, that both Lord of the Rings Online and Dungeons & Dragons Online would be down pretty much all of Wednesday, March 6th, for what was described as “data center work.” Time to muck with the servers I guess. And, as the quote above indicates, hours into the work things looked good. And then things began to unravel and the time to complete started to creep forward. Midnight of the first day moved to 5am of the next. That became 11am, and then 5pm, and soon the time had moved into Friday and began to threaten weekend play time. These things happen. If you have a server farm and bring all the machines down… machines that have been up and running sometimes for years at a stretch… some small percentage are going to fail when you go to bring them back up. And that leaves out any changes you might intend to make to them or the infrastructure while things are down. A computer looks almost like an appliance, nicely packed away in a box. But it is not. It isn’t even close. An appliance is a serious of parts… and even software… designed specifically to work together and do a very specific set of tasks. Your computer is disguised chaos, a thousand points of failure flying in tight formation, hacked together from a bunch of components that mostly work together. I’ve worked on the hardware end of things and I’ve had various suppliers show up to tell us that the part we use is being discontinued, but they have a replacement that is pin compatible and functionally the same… and then had that part stop production because it turned out that the old part was actually out of spec or our design only worked due to some unintended behavior of the part of some such and now we have to hire somebody to sit at the end of the line and hand solder a surface mount resistor on one of the pins on every single unit with the new part while we work on a redesign. True story. So I feel for those members of the team trying to get things back up and running. And come Saturday morning there seemed to be light at the end of the tunnel. At about 5am Eastern or 2am Pacific time, the announcement went out that the servers were up again. The game worlds have reopened. Thank you for your patience as we worked through these various data center issues in recent days. UPDATE: We are bringing back down the game worlds while we troubleshoot an issue with characters not receiving their proper account unlocks. That persisted for a while, but about four hours later the servers were opened up again. The game worlds have reopened. We appreciate your patience during this downtime, and thank you for being here. That last one seemed to do it… but I held onto this post for another day because I wouldn’t be surprised if they found yet another glitch they needed to take things down to fix. And, having gone more than two days past their planned outage, SSG has some offers for people to make them feel better about having been kept offline. It is in the form of a FAQ. 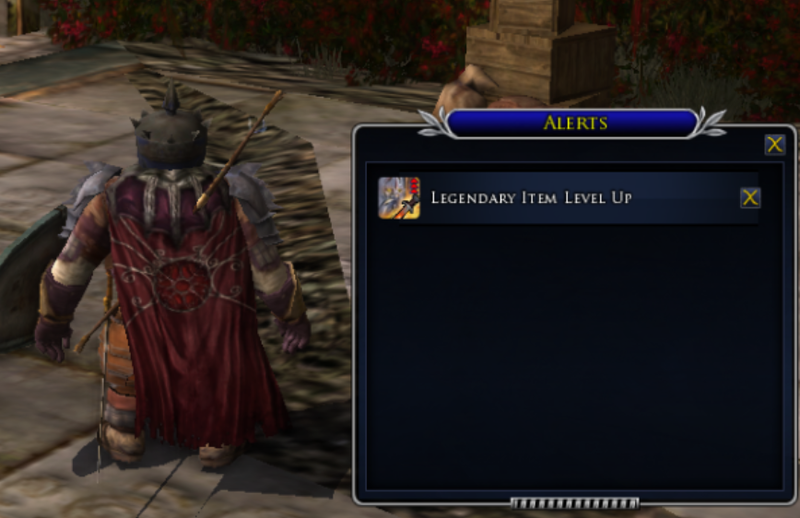 Sales will be extended, everybody will get a bonus pack of various boosters, and VIP accounts that have logged in over the last 30 days will get 250 LOTRO Points. 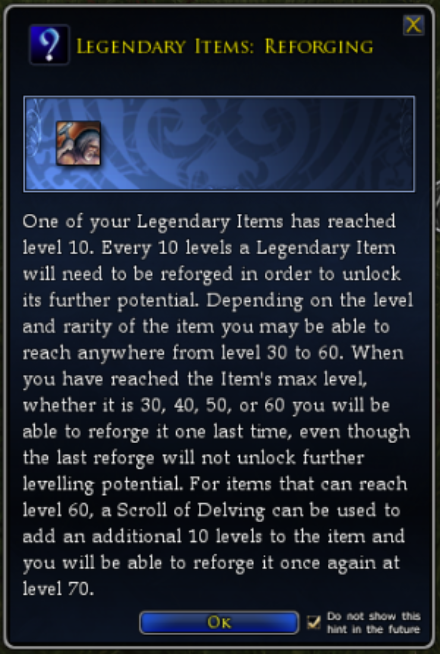 DDO players will get something similar and have their own FAQ. And so it goes. They fared better that SOE did back in May 2011 when they were down almost 13 days, though that was due to a hacking incident. And, of course, there is Alganon, which has been down since November 2017. 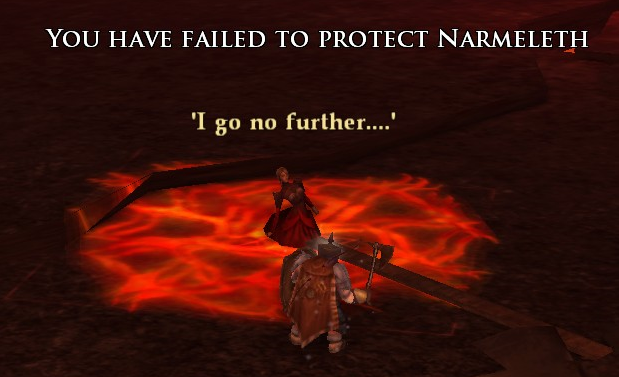 Now hopefully things will settle down a bit and SSG will get around to telling us when Moria is going to unlock on the LOTRO Legendary server. 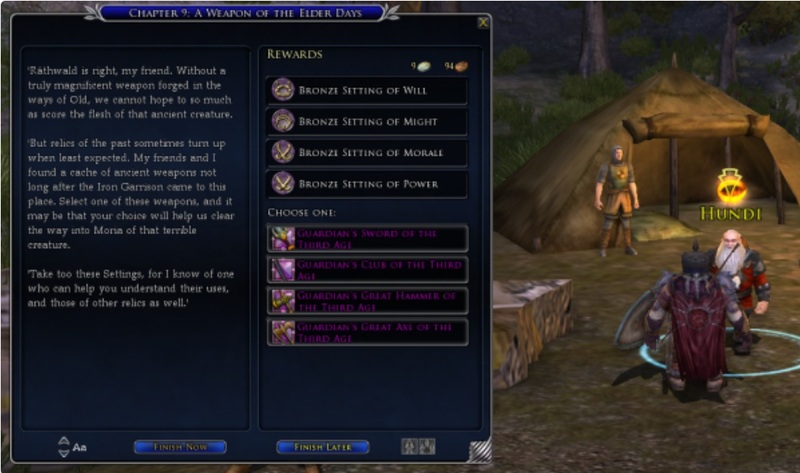 This entry was posted in Dungeons & Dragons Online, entertainment, Lord of the Rings Online and tagged downtime, Standing Stone Games on March 10, 2019 by Wilhelm Arcturus.